If you are interested in purchasing some properties in Delhi, this guide intends to inform you, how you can register your property to have legal authority over it. It takes you through the process involved in registering a property in Delhi, the city that is home to many large multinational corporations and government offices. This guide will take you through each step of the registration process, so that you can approach it with ease. You need to apply to the Sub Registrar's office of the concerned district in Delhi, in order to register your property. The response time on registration is usually 15 days or a little more, if you proceed using paper documentation. If you wish to use the online registration system recently introduced by the Delhi Government, you will receive a response on the day you file your application itself. The documents required to register properties in Delhi can be either Sale Deed, a Will, a Conveyance Deed, a Gift Deed or Share Certificates. The registration fee for all the documents, except for a will, remains the same, 1 per cent of the total value, with an additional charge of Rs. 100. The registration fee for a will is Rs. 600. The stamp duty differs for each document, and is based on gender. 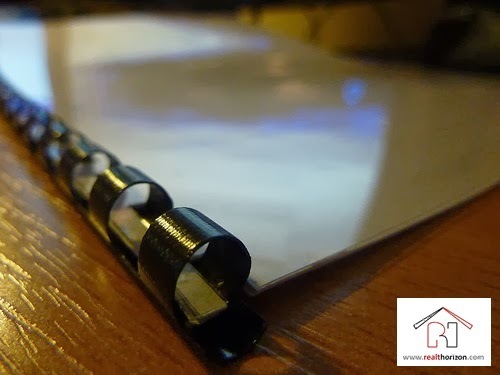 You need to provide the details which will be applicable to your property, such as the date of purchase, the property transfer and inheritance issues, the legal ownership document, the proof of payment of all dues such as water bills and property taxes, and the clearance certificate from the urban land ceiling authorities. The next step you have to take, is drafting a legal agreement. This has to be made on a stamp paper, and you have to make an advance payment to the vendor. Make sure you mention a time period for the registration. A property registration attorney will prepare the document, and the final deed will be printed with stamp duty certificates. The final step involves the stamping, execution and registration of the document at the sub registrar's office. For this step, you need to be present at the office with the buyer and two witnesses. You will also need your identification documents for completing this step. Once this is completed, the documents will be handed over to you in 30 minutes, after the submission of the payment receipt. You can register your properties in Delhi quickly, by using the online registration portal that ensures transparency in the process. Your registration will be completed on the day you file an application. To file an application, you must have a pre-fixed appointment online or over the phone. This is so that you receive a unique appointment number, date and time to approach the sub registrar’s office. You can reach out to the appointed officials online, through the resource department website and receive your documents on the same day. You can register 32 different property document types at the sub-registrar office. The office will have the details about your registration process, along with the forms required and the document set you need to provide. You can use the online calculator provided to determine the stamp duty based on the details you provide. You can purchase e-stamp paper, once the stamp duty is calculated. Once you complete this, you can head to the sub-registrar's office, where your application is checked. Then, someone will direct you to the correct representative. You have to enter with an electronic access card, after which your documents and identity will be verified. You need to clear this step in order to appear in front of the sub registrar. You will receive your registration documents in the evening, between 4-6 pm. This process makes the registration of property in Delhi much more user friendly, easy and transparent.